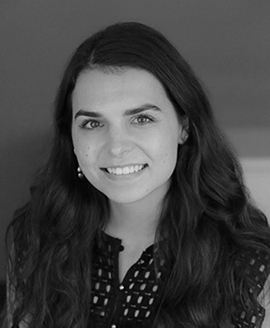 Marina joined Galileo as a Senior Analyst after three years of data analysis and project management experience with brands such as Kohl’s, Estée Lauder, and BMW. She brings a unique perspective to the team, having studied the history and business of fashion at the Fashion Institute of Technology. Marina has a passion for market research and making authentic connections in the hopes of better understanding the human condition. She excels in pattern recognition and uncovering stories within quantitative and qualitative data. Outside the office, you can find her practicing ballet, taking photographs, and traveling as often as possible.